Performances of the production were held on Wednesday and Thursday evening this week. The show was a great success with Dylan from 8T stealing the show with his comic timing. Well done to all students who supported this either on stage or behind the scenes. Thursday 2nd March was World Book Day. Miss Kidner arranged activities in the school library for students. 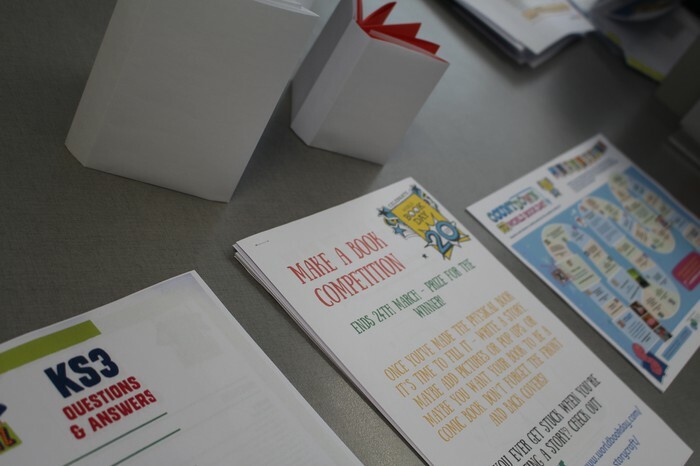 Students were encouraged to make their own books and comics and a prize was given to the winner on the day. Extracts of books were also shared with form tutors to encourage students to read more. 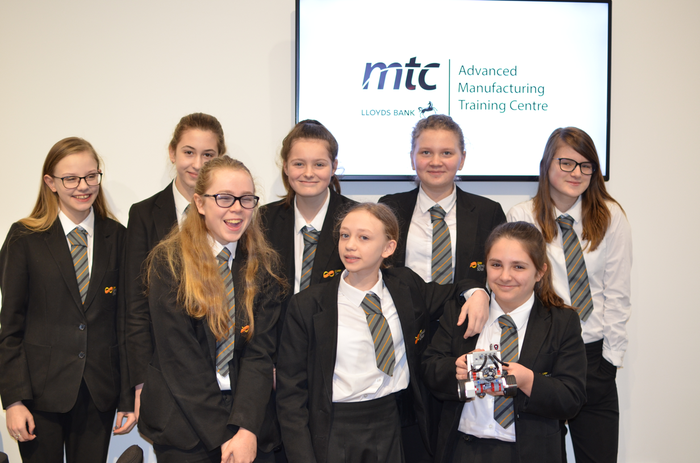 A selection of our Year 8 students took part in the regional heats of the Robotics Competition held at the Advanced Training and Manufacturing Centre in Coventry this week. Pictured are some of the students who took part. 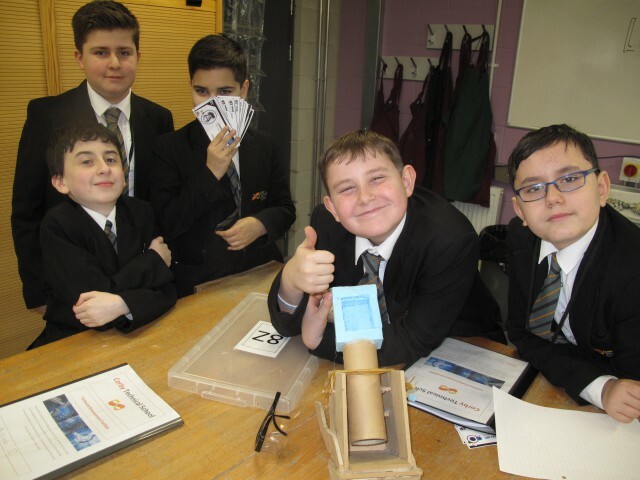 If successful in the regional heats they will be invited to attend the finals at the Big Bang Fair in Birmingham on Friday 17th March. Mrs Wagner-Lees has nominated Charlie 11C for excellent German speaking. She has also nominated Haydn 9S for his continuous committment in German and Maciej 9C for great efforts. 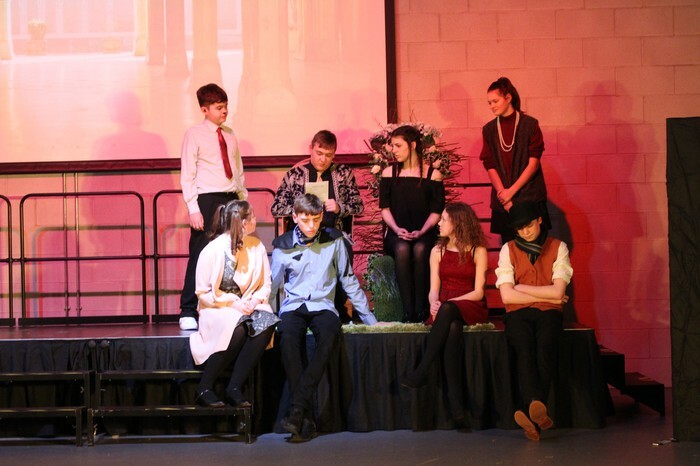 Mr Cox would like to say a huge "Thank You" for all those who participated and supported the Drama production - A Midsummer Night's Dream, in particular Dylan 8T who stole the show with his comic timing. Mrs Trueman would like to thank her Year 8 Scientists for their excellent practical work. Mr Lee would like to thank his form 10C for showing their appreciation towards staff this term. Mr Rogers has nominated Ewan 8S and Denyse 8C for their great leadership skills in PE. Mr Bidwell has nominated Abbie and Ellie 7T for their hard work in Geography. 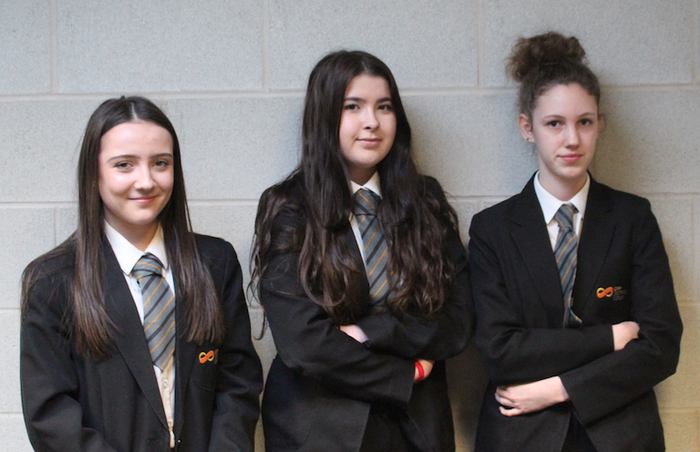 7T have nominated their fellow form members, Emma-Tara, Andrew and Macy for their helpfulness and support of others. Miss Connellan has nominated Keali 10T, Tomasz 10S, Milos 10T and Matus 10S for their hard work in English on a very challenging topic. Mrs Trueman has nominated the Science team for their hard work this term. Year 9 students have nominated Mr Harris for supporting them in Maths and Mr Cox for his support and helping them to progress in Science. 10C have nominated Miss Fenner, Miss Bridges and Mr Wilson for all their support this term. Pictured are the winners of the Faraday DIY challenge for their Table Tennis ball launcher. They competed against other Year 8 groups to win the STEM competition. The teams were judged on their creativity, development, making, economic and presentation skills. Three of our GCSE German students took up an invitation to attend a Masterclass event accompanied by Mrs Wagner-Lees in Stamford. 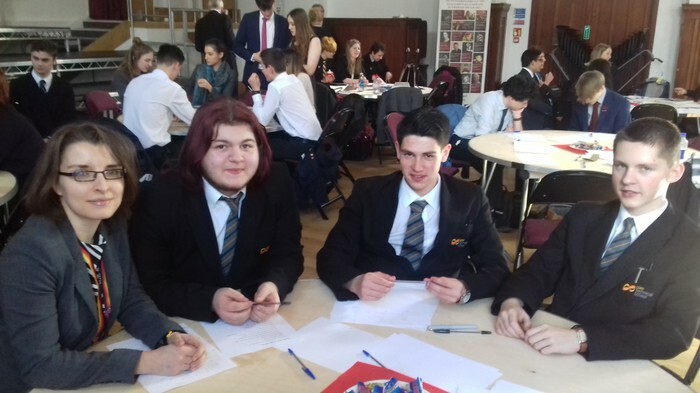 This was aimed at Year 12 and 13 students and Tommy, Jake and Dmitrijs were the youngest students invited to attend. 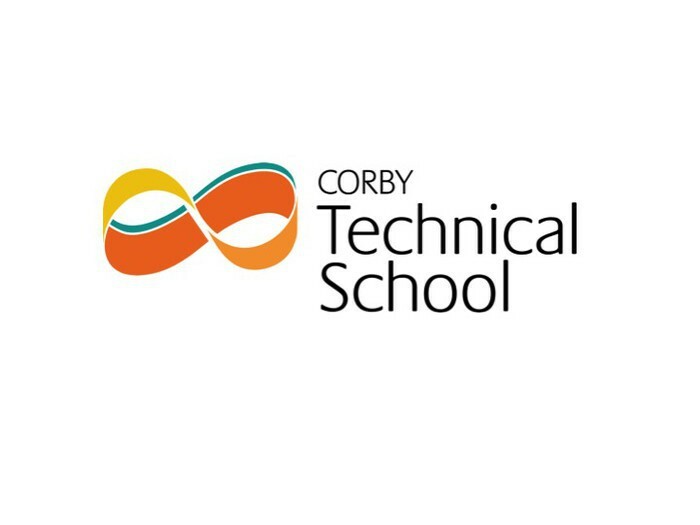 Intervention workshops will take place during the school break for Year 11 students. All students were given a letter and this is also on the school website with dates and times. School will be open daily from 8.00am to 4.00pm. Year 11 students are more than welcome to use the facilities for revision or homework. Our next Parent/Carer Coffee Morning will be held on Tuesday 4th April 2017 from 10.30am to 11.30am in the school library. All parents and carers are welcome.